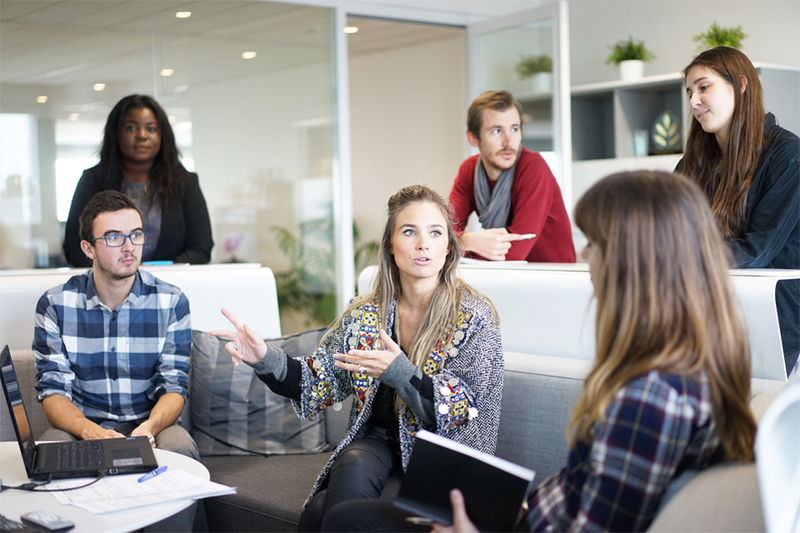 As fundraising experts, we have found that nonprofits are losing much-needed revenue by buying too many or too few t-shirts. That’s why Ink is perfect for your organization! Focus on your mission - we’ll handle the rest. We process payments, handle inventory, print, pack, and ship for you! Create fashionable apparel - stuff people will actually wear outside the gym. A t-shirt is a great tool to make a powerful statement and unite supporters. 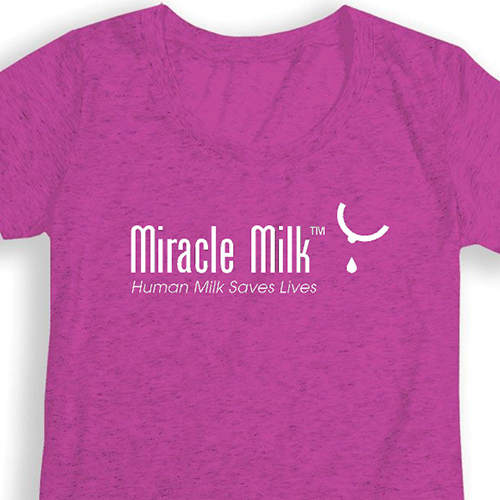 Generate revenue through t-shirts and in turn, raise awareness for your cause. We tell you how much money your shirt will cost you based on the style of apparel you select, and the amount of colors in your design. Then you set the selling price! Gain a dedicated fundraising partner to take the unnecessary hassle off your hands! We handle everything for you so that you can promote your fundraiser and focus on what you do best. The Wisconsin Humane Society has raised over $3,000 dollars with multiple t-shirts and campaigns. The animal rescue organization unites their supporters with fun, pet loving apparel. In addition to that, they’ve brought in notable community artists to contribute to the fundraiser. As their trusted fundraising platform, Ink has been a small part of helping them save the lives of countless animals. 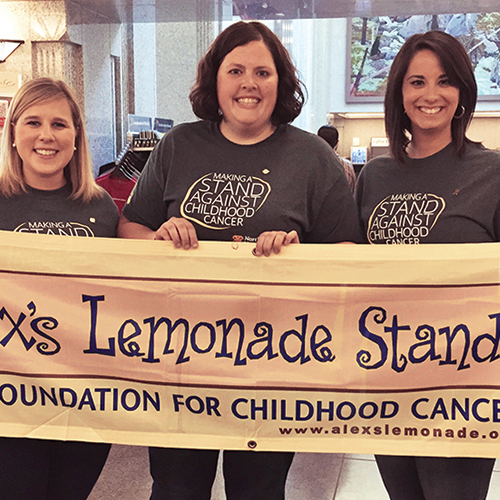 “At our company, employees love three things: t-shirts, jean days, and supporting a good cause.” In 2012, Northwestern Mutual launched a fundraiser to raise money and create awareness for its Childhood Cancer Program. In doing so, they partnered with Alex’s Lemonade Stand, a local Milwaukee nonprofit. Together, we helped provide support for families by raising over $15,000 for cancer research. Roughly 200,000 people were present at the Boston Women’s March for America on January 8, 2017. Of that, nearly 10,000 men, women, and children wore t-shirts, hoodies and knit beanies created by Ink. 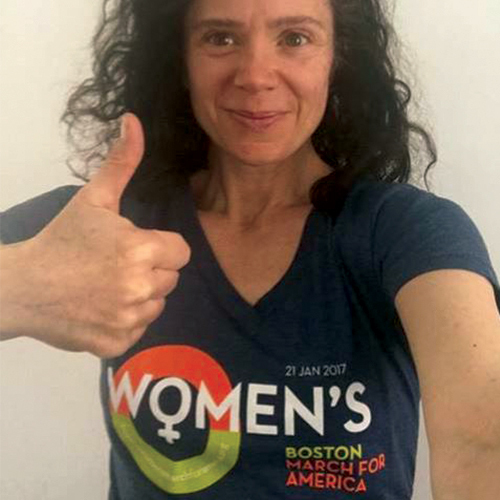 As their official gear provider and fundraising platform, the Boston Women’s March raised over $130,000 dollars for production expenses. Additional funds were donated to local charities that shared their same mission. For their national fitness fundraiser, Best for Babes employee, Danielle, utilized Inks platform to raise money. As a small nonprofit with limited resources, they produced and distributed t-shirts without the unnecessary hassles. Their fitness challenge generated awareness for breast feeding, and beat the booby traps that prevent moms from achieving this goal! This initiative is a result of society’s negative views and lack of support for infant feeding. To combat this, they used their t-shirts aimed to unite and harness the power of mothers everywhere. Raise money for your cause. 100% free. No risks, no inventory, no hassles. Check out who we’ve worked with! Are you ready to raise money? Launch a fundraiser for free today!